Well, you have probably all read how Calgary (where I live) had a massive flood last month which actually resulted in me being off work for 11 days. So, in that time I was able to get a bunch of work done on some different projects. Naturally after picking up the Mountain King there is no way I was NOT going to work on him so everything else got pushed to the side. 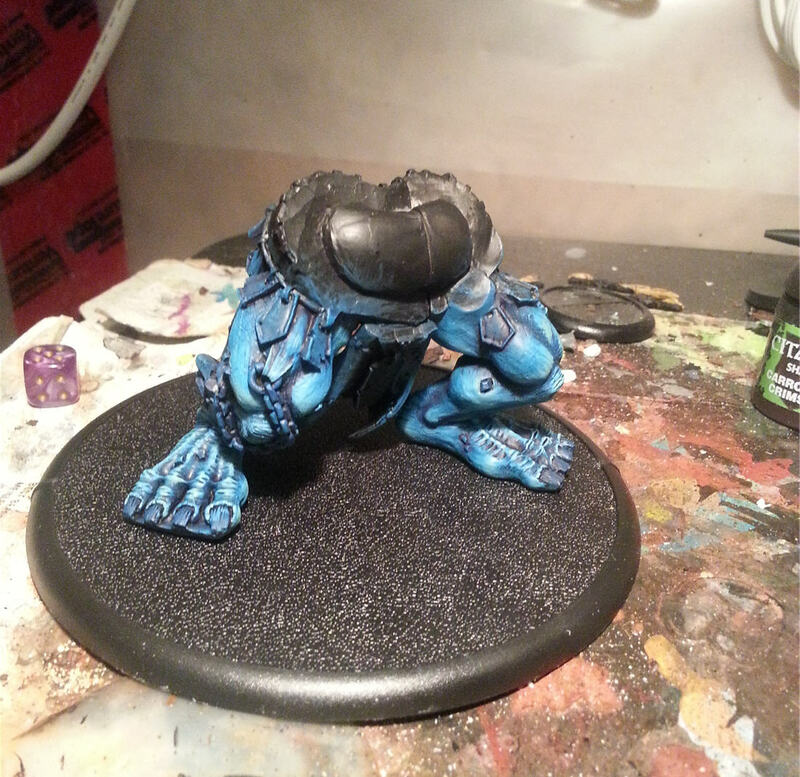 After spending roughly 5-6 hours building the chap it was time to start painting. I decided to keep him separated into pieces because he was just WAY too big to paint up in one shot without an Air Brush. So, I sectioned him off into his Legs, Torso (with arms), his head and then all the extra chains and whelps hanging off him that didnt need to be green stuffed into place. 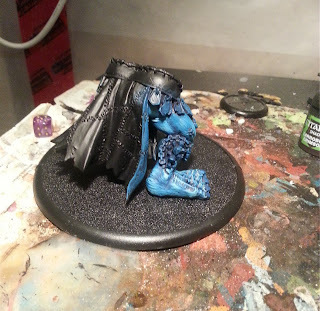 I decided I was going to paint this guy from the ground up so I started on his legs. 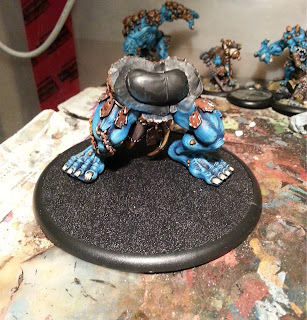 Like the other beasts with this army I started with a heavy dry brush of 50/50 mix of mid blue with dark blue and then did a dry brush of straight mid blue just to get the primary colour base. After that I did a shading pass adding in purple ink in all the recesses, especially around all the rock formations and in and around the joints. 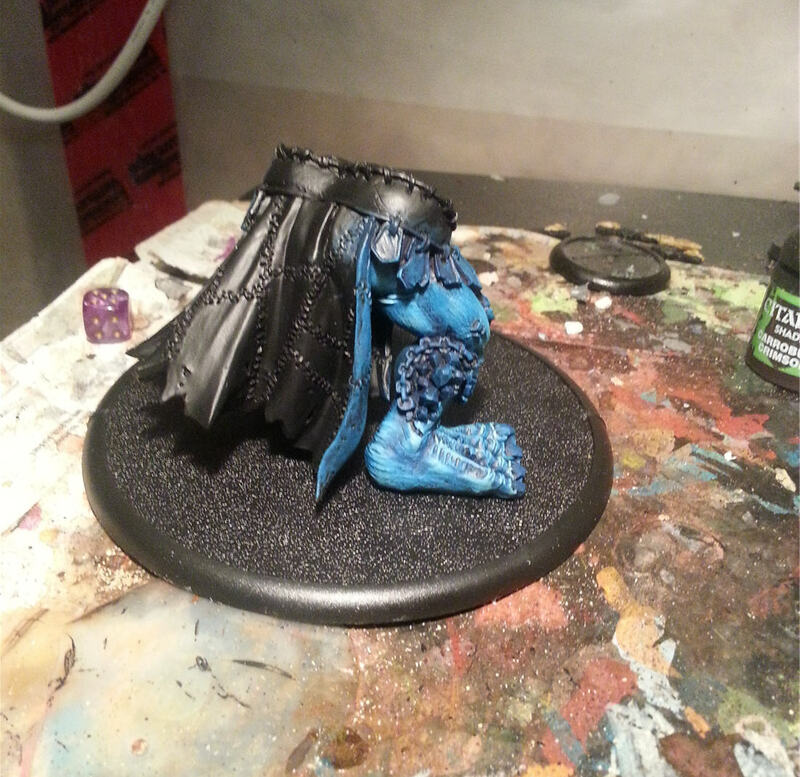 Once that was complete I started painting the high lights on working my way up with lighter layers ending with a 50/50 mix my lightest blue and elf flesh. Here is what his legs looked like after I finished all the blue. 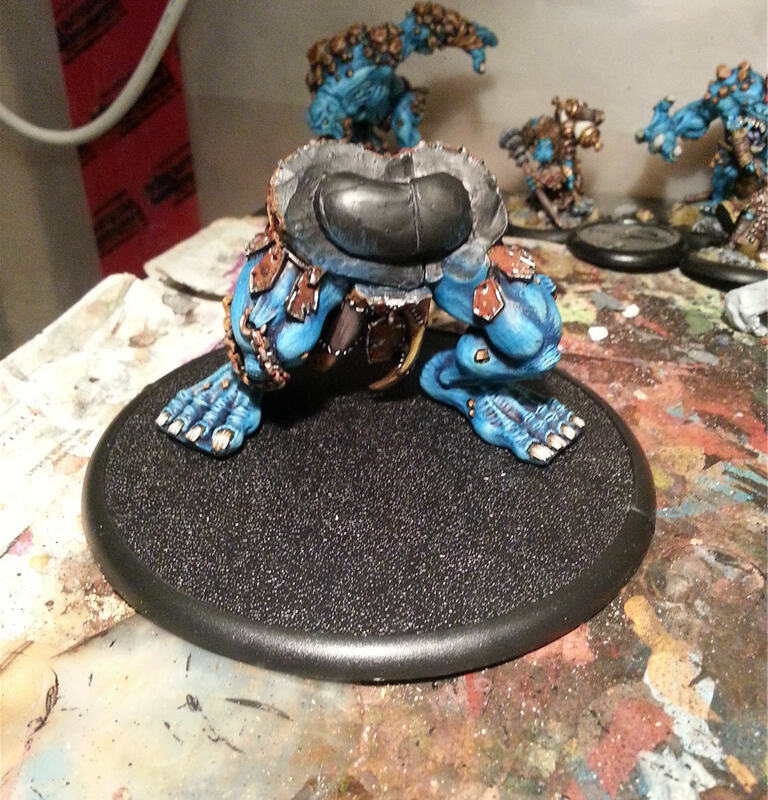 After I completed the blue I painted everything that wasn't blue, black, just to really separate things and clean it up. 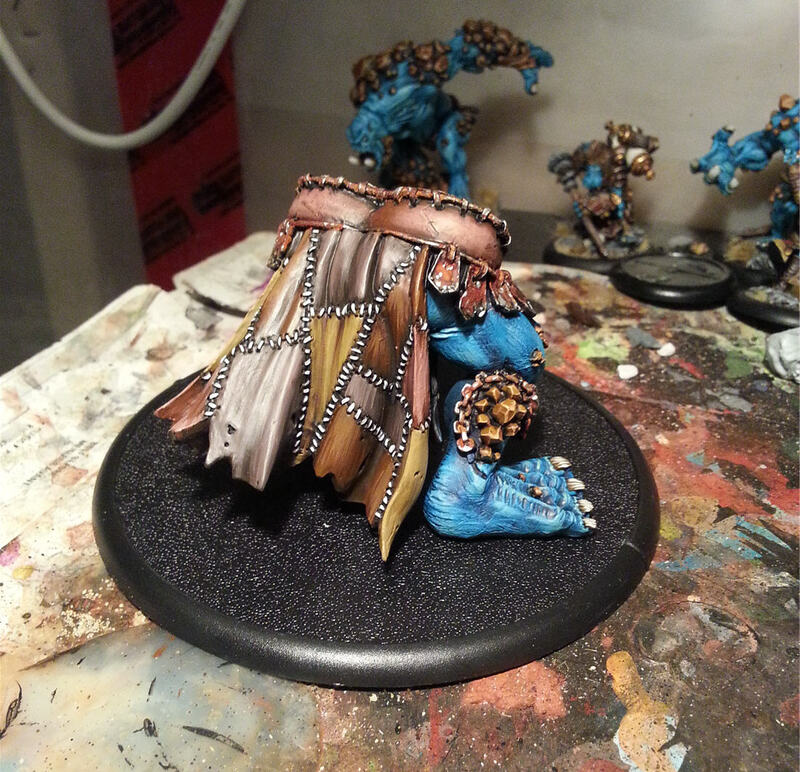 After that its just a matter of hammering out the small details and bam! done! Next Up: The MKs upper body!